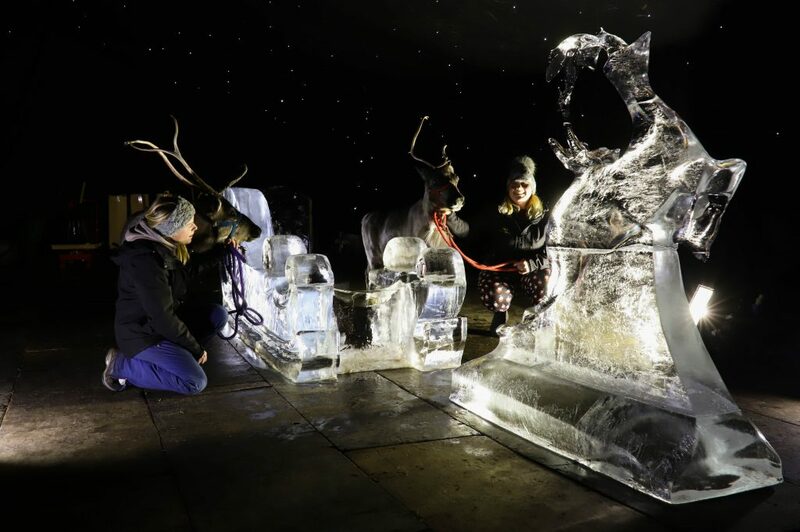 With Christmas coming up, Sand In Your Eye headed down to the Sandringham Estate in Norfolk for their Christmas Craft, Food & Gift Fair to get started on their Christmas shopping. 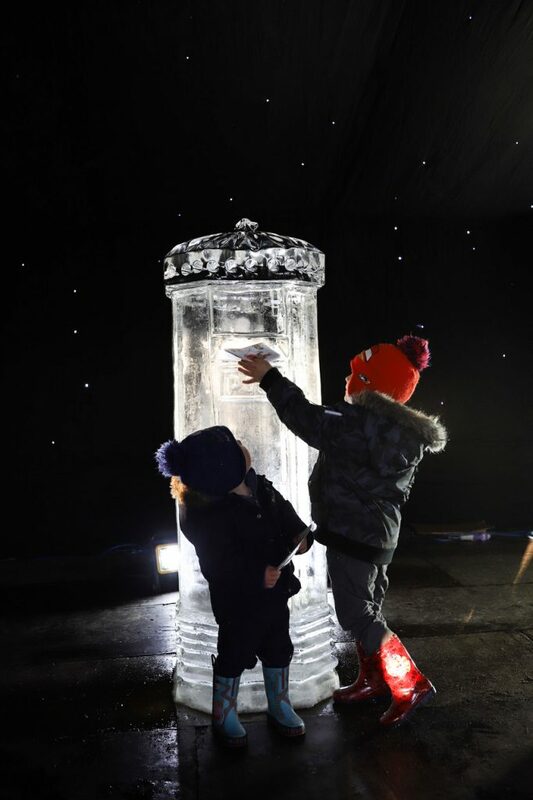 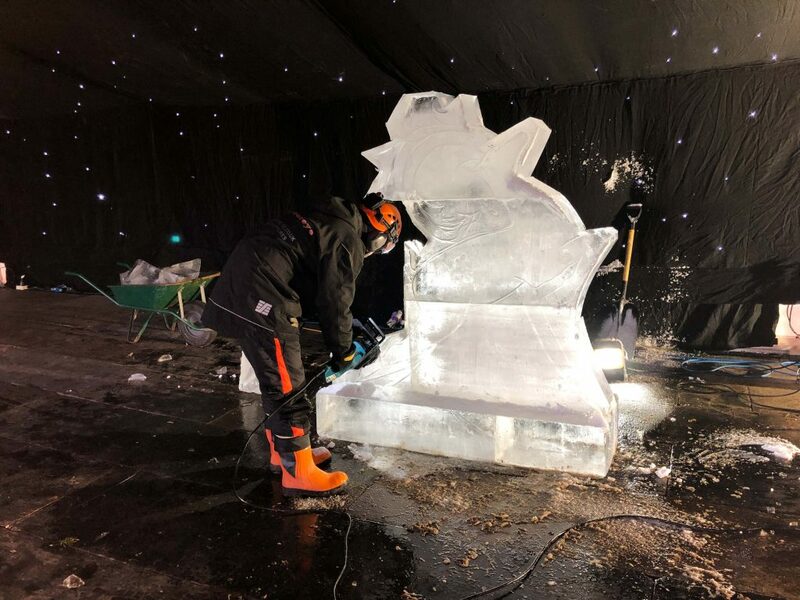 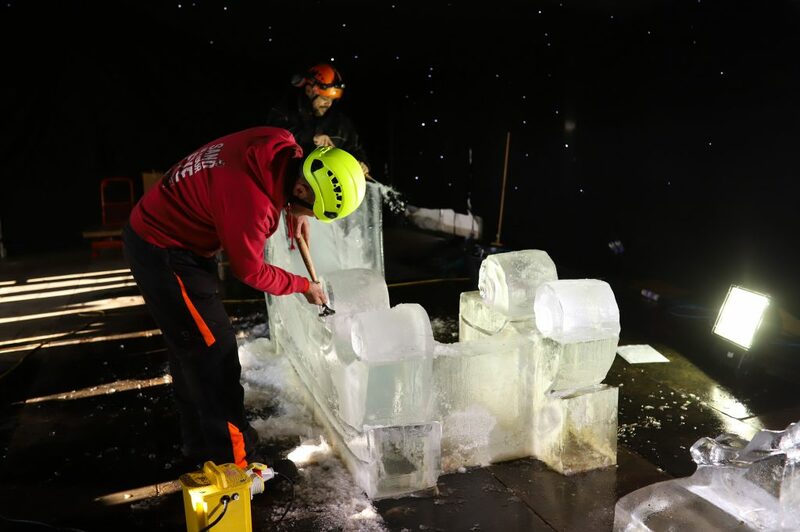 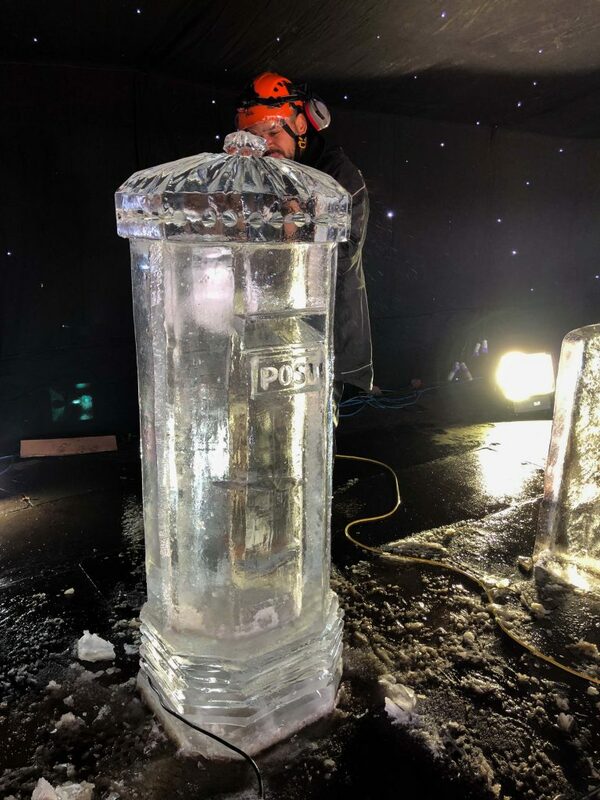 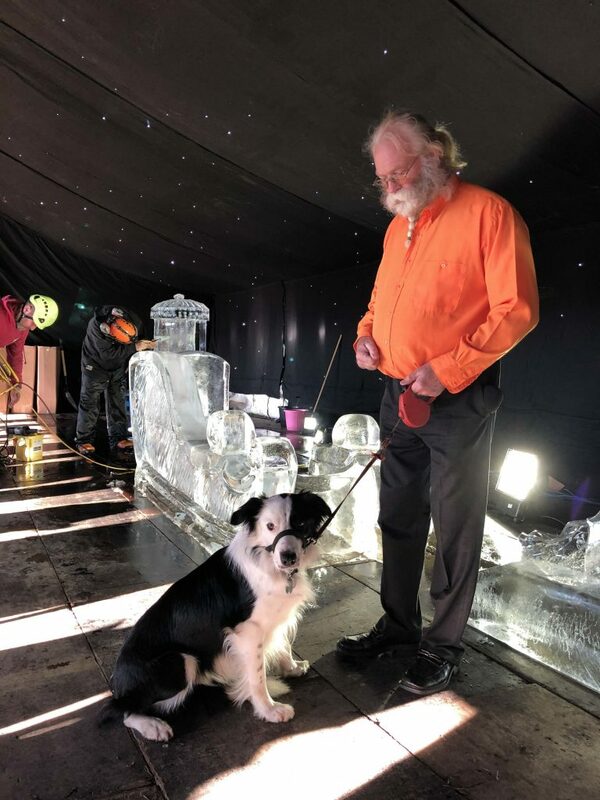 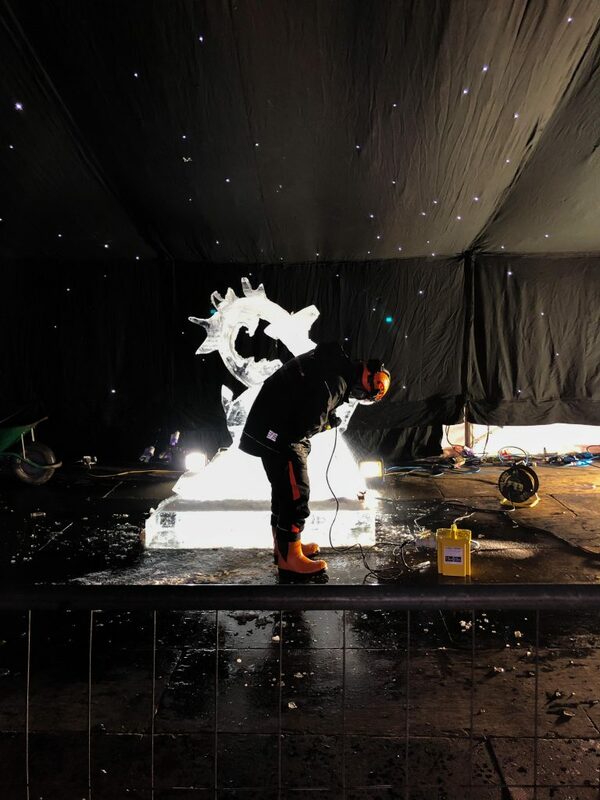 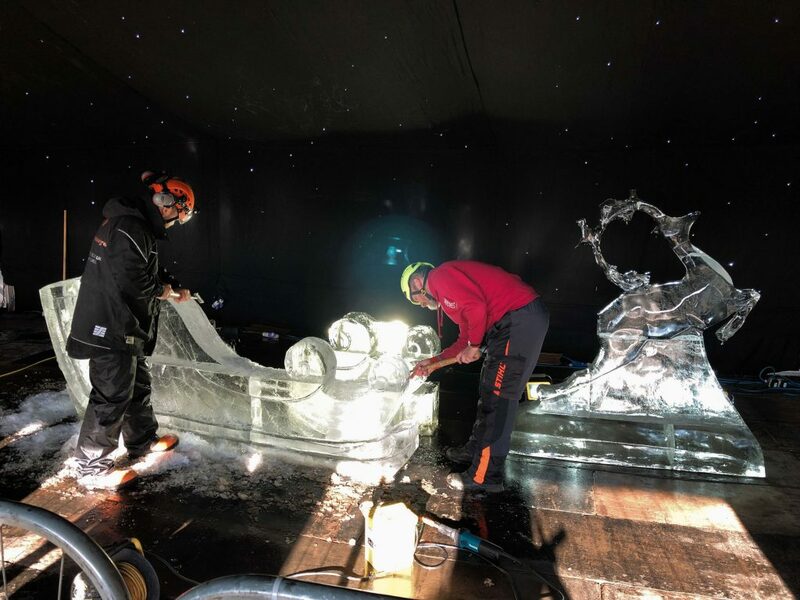 Living Heritage Events had seen our ice sculptures and ice trails and asked Jamie, Mark and Rodrigo to come along and do some live ice carving in one of the tents at the Christmas fair at the Queen’s country residence. 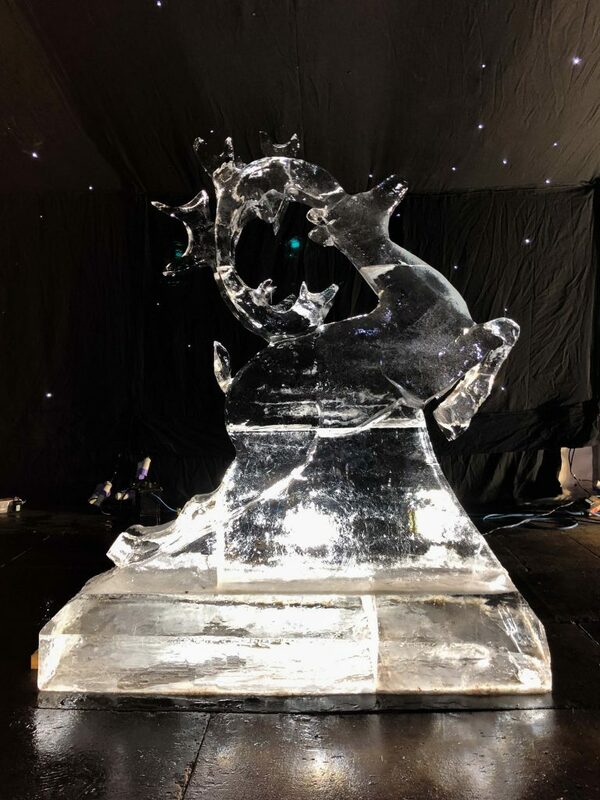 Each day of the family event, they created a different ice sculpture that would all fit together at the end. 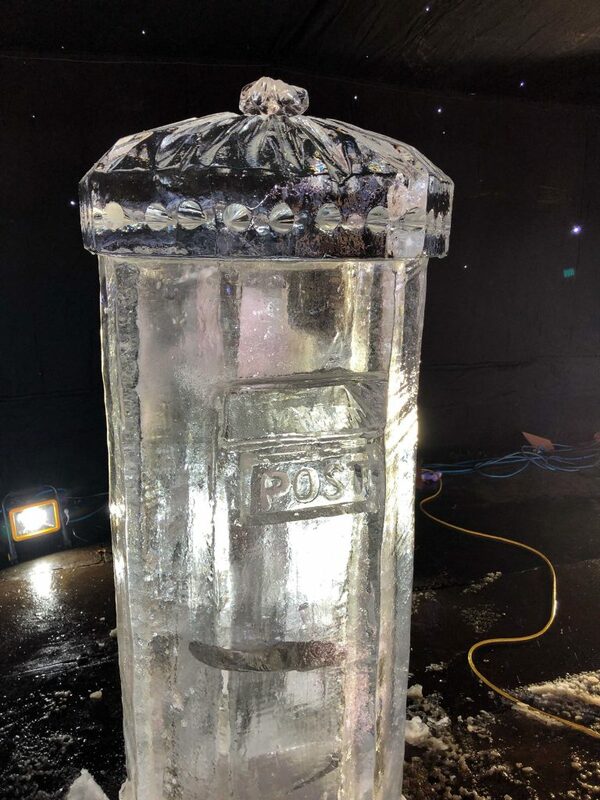 On day one they carved a reindeer, next came Santa’s sleigh for the deer to pull and on the final day they made a postbox. 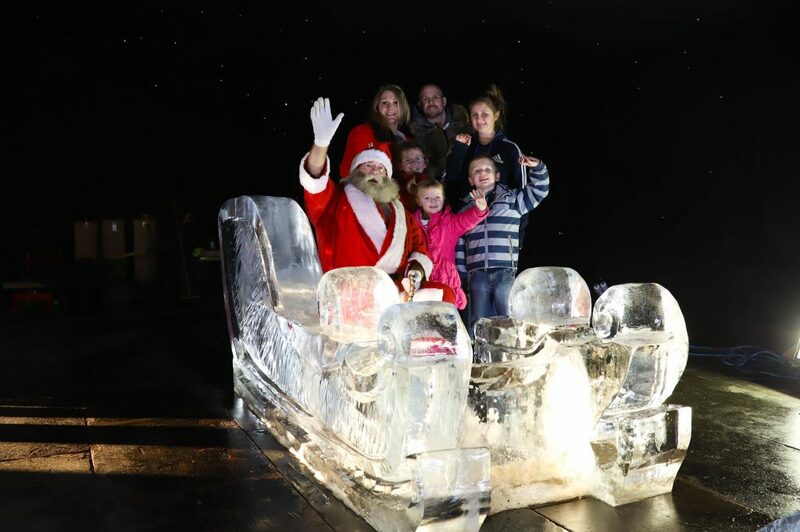 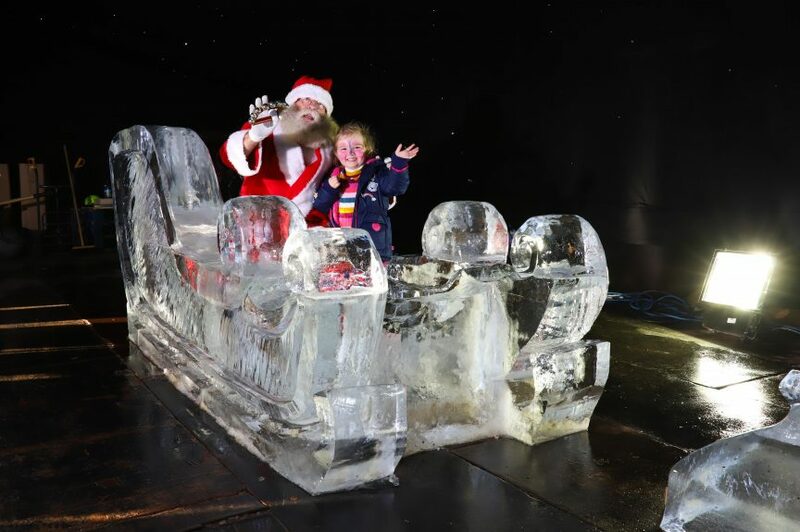 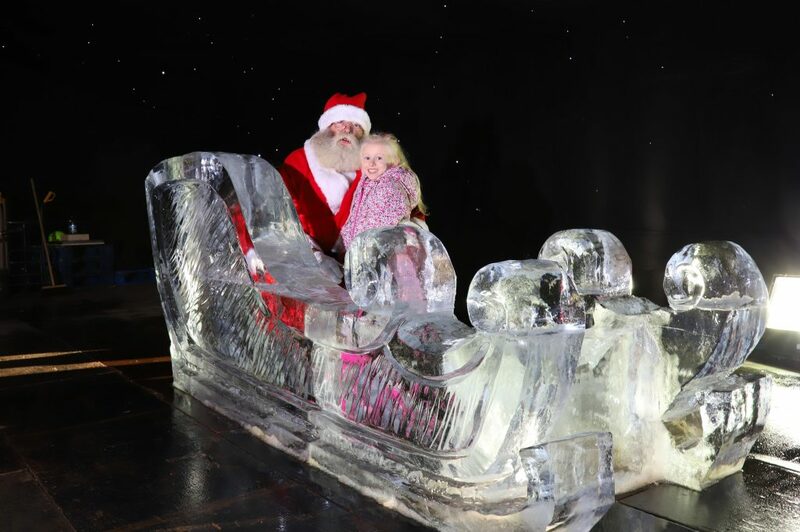 Visitors to the fair could pose with Santa in the sleigh and post letters to him into the postbox. 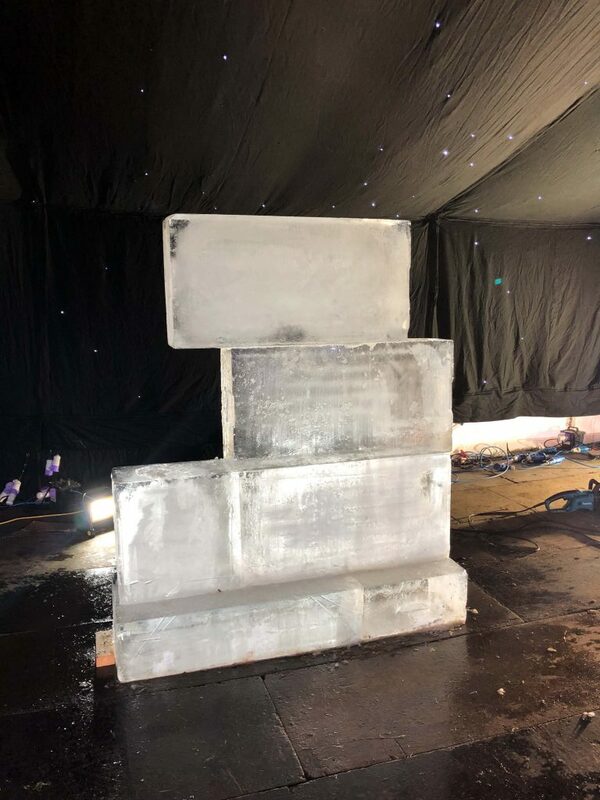 What will this turn into? 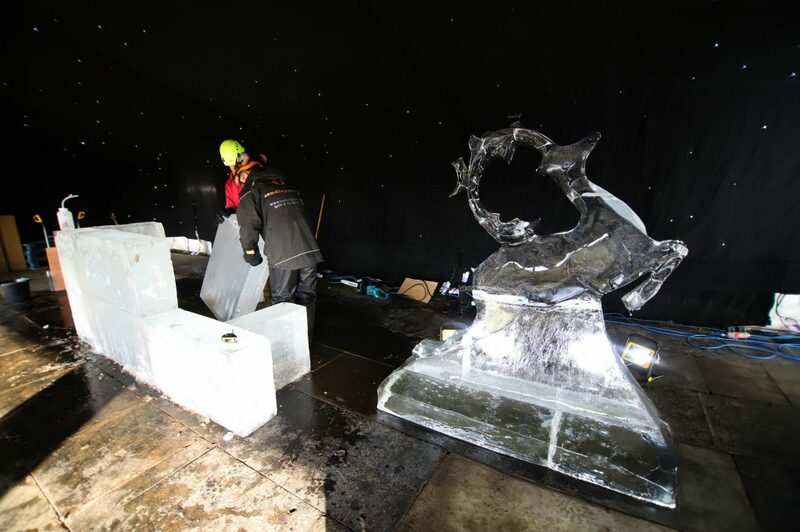 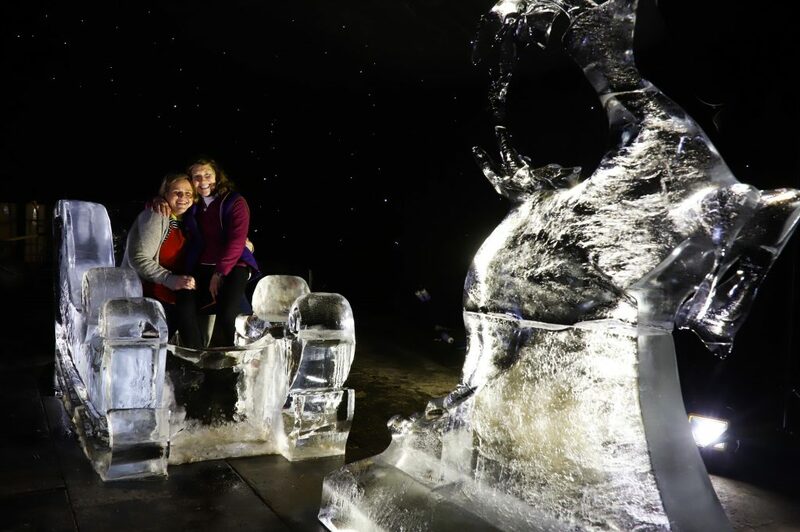 The chilly weather meant that the large ice sculptures lasted the whole weekend and really added to the festive atmosphere. 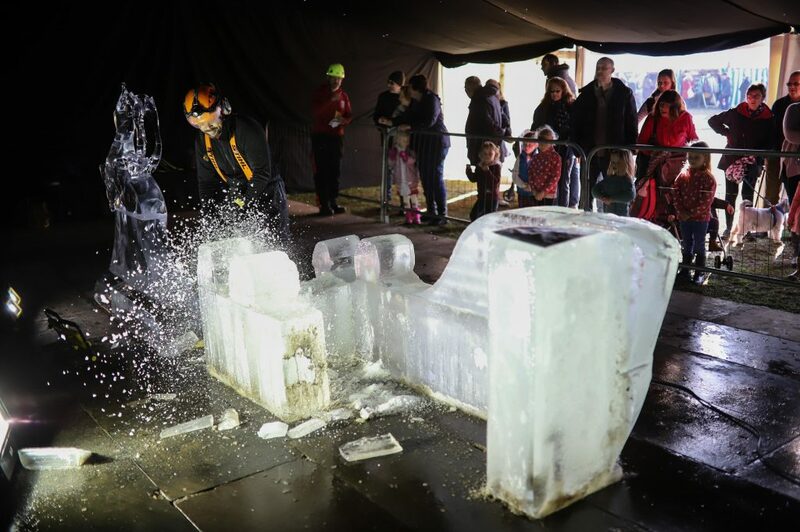 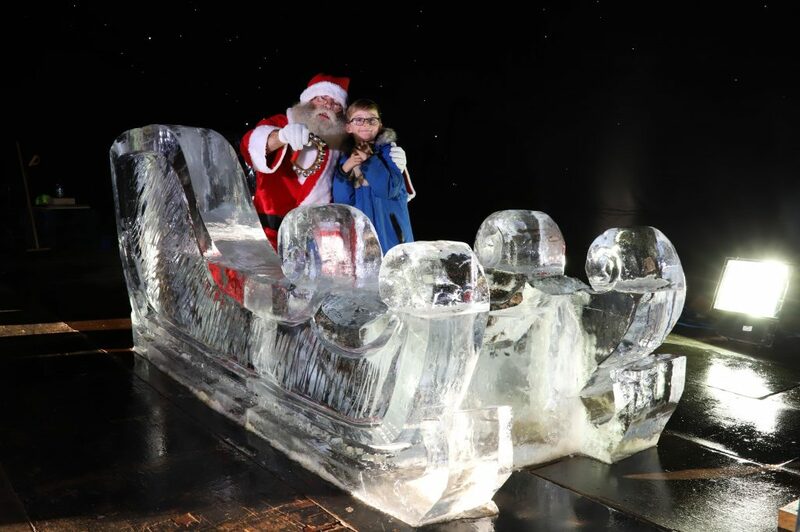 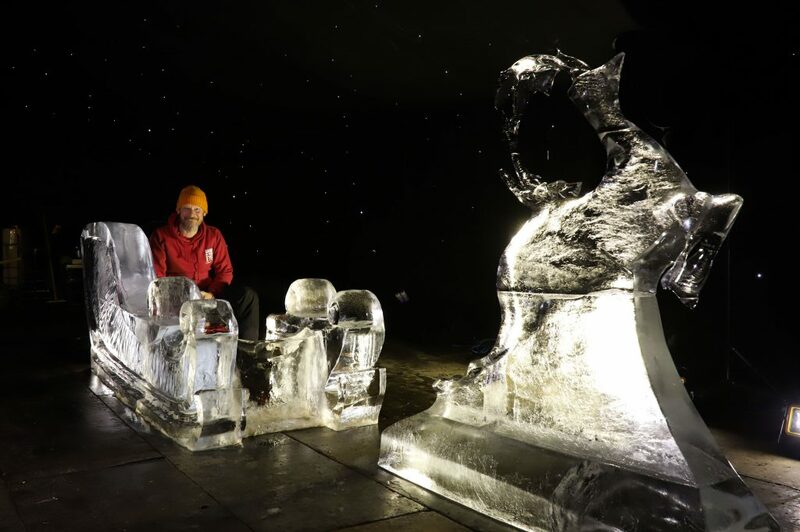 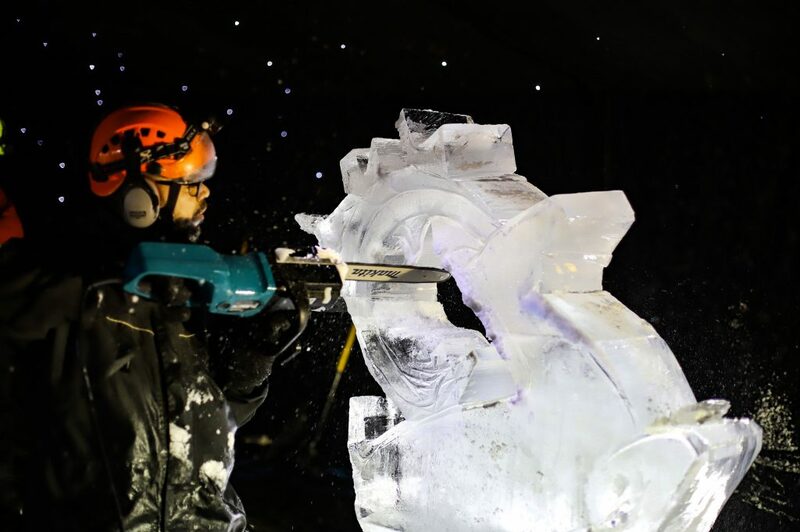 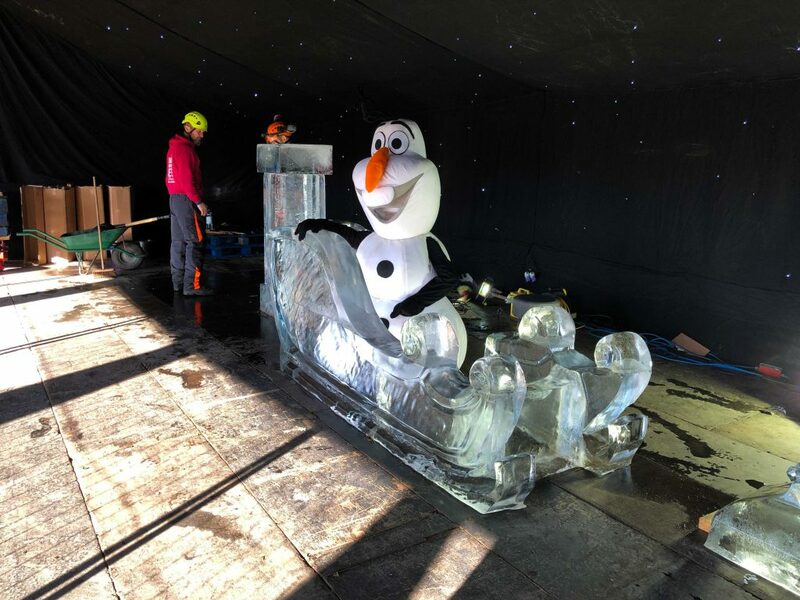 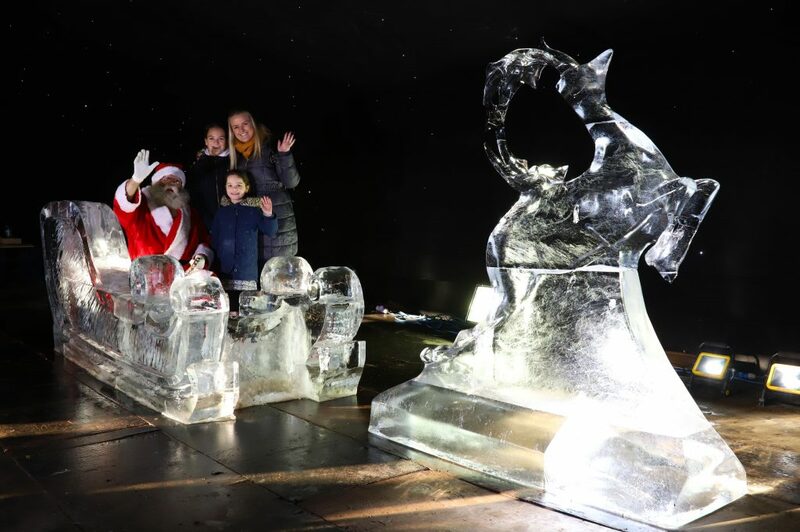 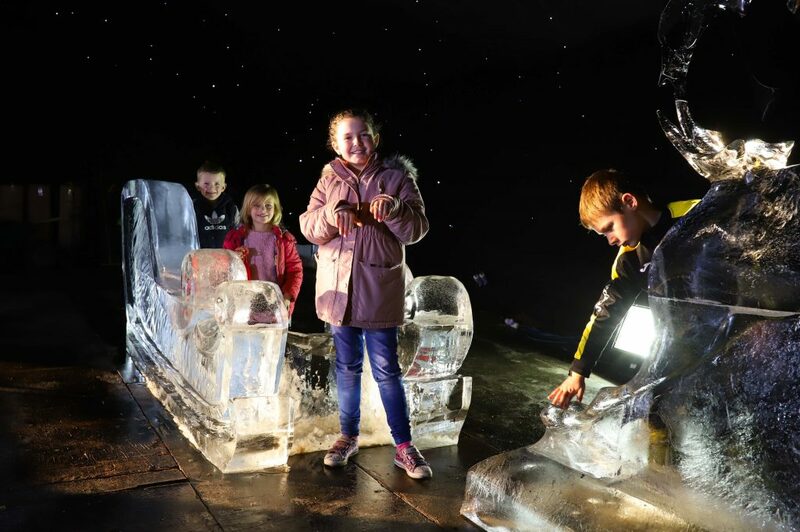 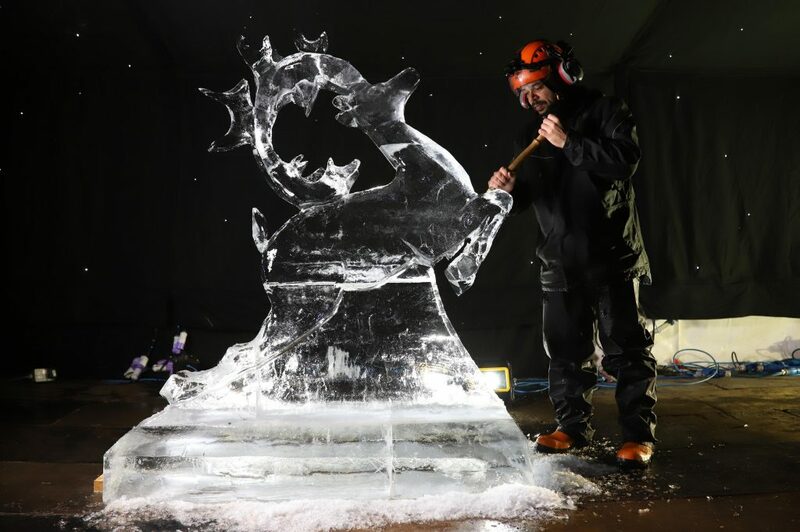 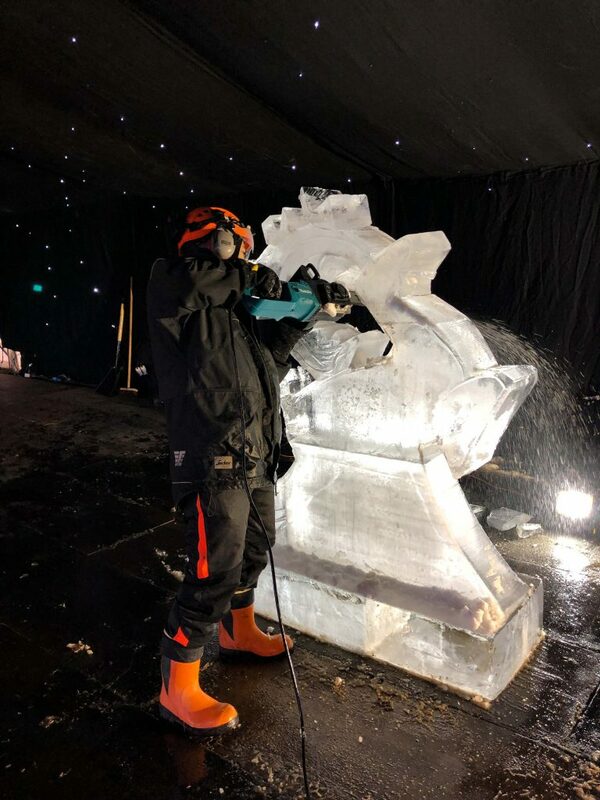 As well as visiting the live ice carve, people attending the Christmas fair could watch glassblowing, wood carving, see how artists and craftmakers make the gifts and handmade items on sale. 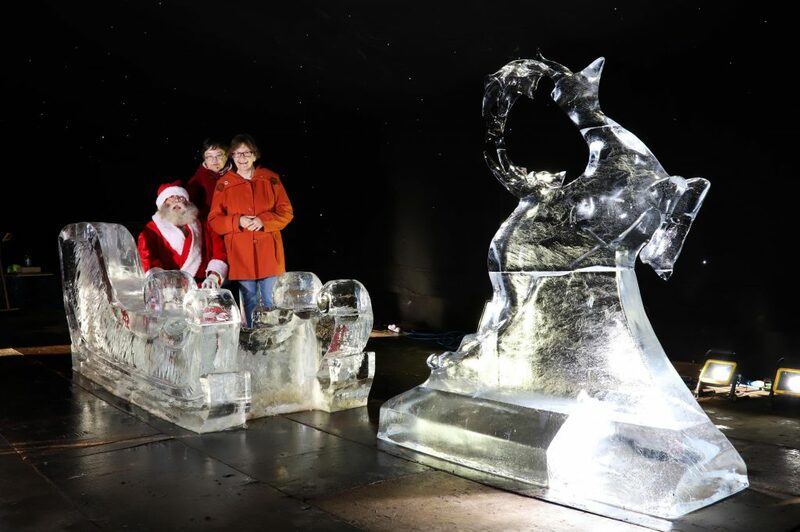 There was also plenty of hot chocolate, mulled wine and lovely food to warm people up.